He bought it in Germany. It had layers and layers of paint on it when it was purchased. My mom removed the paint in 1963. 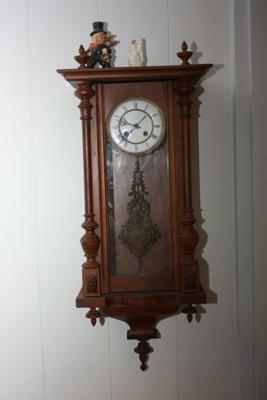 Can you help identify this clock? There are no hints to company names or initials.